The beats will go on. One of the biggest pieces of Apple’s $3.2 billion Beats purchase had nothing to do with headphones. It was the acquisition of legendary music producer Jimmy Iovine as part of the Apple team, and his high-profile connections and visibility has helped Apple grow its music service into a major player. But it appears Iovine’s time at Apple is coming to an end. A report by Billboard says the recording giant will leave Apple in August, which just so happens to be when the shares he received as part of the Beats sale fully vest. Iovine joined the company along with Dr. Dre and Trent Reznor, both of whom hold still hold senior positions at the company. Why this matters: It might not impact the day-to-day at Apple, but Iovine’s departure from Apple could signal a major shift in how it negotiates with labels. Iovine has deep connections with artists across all genres and spanning generations, and he can surely sway opinions and decisions. With stiff competition from YouTube, Amazon, and Spotify, hopefully this is an amicable split. Apple Music has grown into a service with more than 30 million subscribers. At the time, Iovine told a story of approaching Steve Jobs and Eddie back in 2003 about fixing the music industry and being show a prototype of the “brilliant and groundbreaking” iTunes Music Store. However, Jobs was famously not a fan of music launching a subscription service. 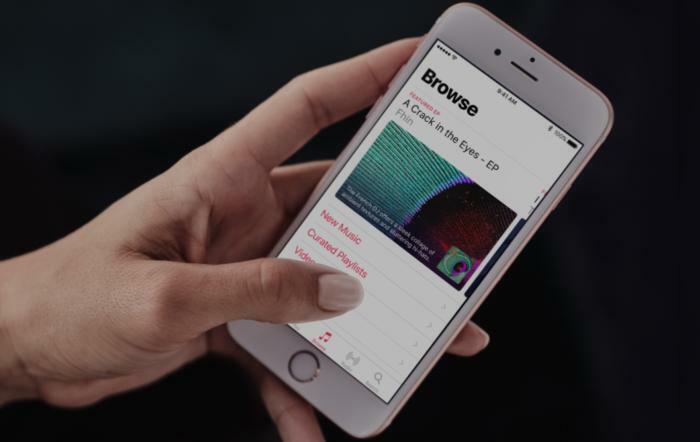 Since the launch two and a half years ago, Apple was able to build Apple Music into a powerhouse with more than 30 million paid subscribers. Unlike Spotify, it doesn’t have a free tier, and annual subscriptions start at $99 a year. It’s the rare Apple service that is also available on Android, and Apple recently updated its Apple Watch app to stream music over LTE. While Apple Music is primarily about its bountiful library of songs, video has always been a central part of its plan. For example, Jay-Z’s video for “The Story of OJ” landed on Apple Music before the album 4:44, and in 2015, Taylor Swift’s new 1989 tour documentary also streamed exclusively on Apple Music. In recent months, however, Apple Music has begun to pivot to non-music videos with original programming such as Carpool Karaoke and Planet of the Apps. Several shows are on tap for 2018 and beyond, including a reboot of Steven Spielberg’s Amazing Stories, so Apple Music is clearly evolving beyond a simple streaming service. It’s possible it splits into Apple Music and Apple Video, so it’ll be interesting to see who replaces Iovine, if anyone. Apple and Iovine haven't commented on the report, which was confirmed by Bloomberg.